Engaging independent consultants can be a great way for business owners to get the help they need, when they need it, without committing to ongoing wage costs. There are many situations where a business might hire a consultant or contractor, for example, for a one off short term project or to fill in for an existing staff member who is on leave. Contractors are often used to fulfill a skills or time requirement that the business cannot fulfil itself. When engaging a contractor it is vital to have a clear understanding of the precise nature of the services to be provided so that each party understands what is expected of them. This reduces misunderstandings and potential areas for conflict. what they are entitled to. 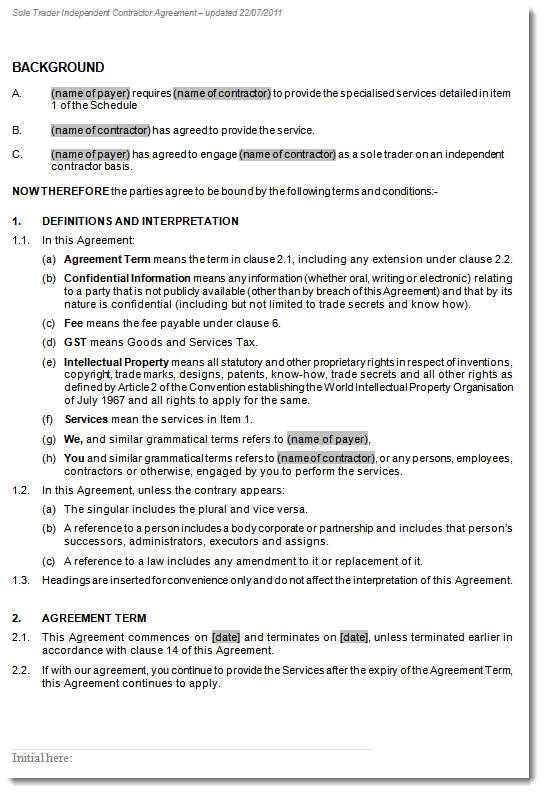 This professionally drafted agreement spells out the exact nature of the arrangement, defining the rights and obligations of the parties. It includes strict restraint, confidentiality and intellectual property provisions to bind the contractor while still providing the foundation for a healthy ongoing relationship. 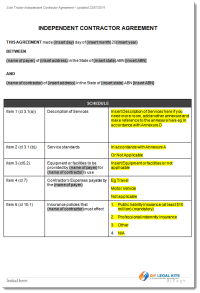 This Sole Trader Contractor Agreement Template with easy-to- follow instructions has been formatted for your convenience using Microsoft Word and is available for immediate download. 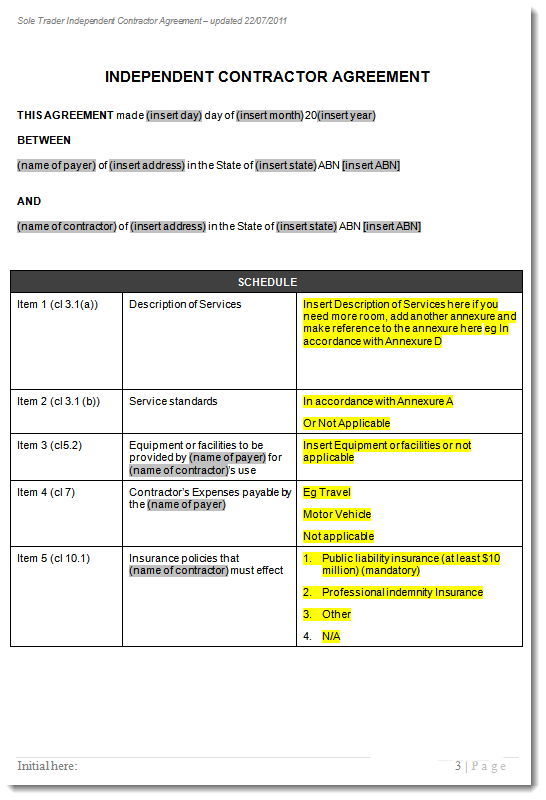 You can use any of our template agreements time after time, simply edit the fields as you require, save and print your agreement. 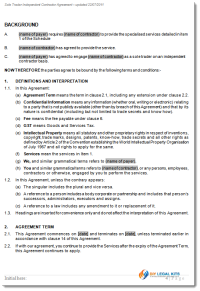 Your ready-to-use agreement includes everything you needto define the terms of your agreement. Professionally drafted Independent Sole Trader Contractors Contract . Our fully secured ecommerce system allows you to purchase and Download this contract safely. In just a few minutes you can have everything you need to protect your interests and present a professional image.